once told his accent was hard to define. 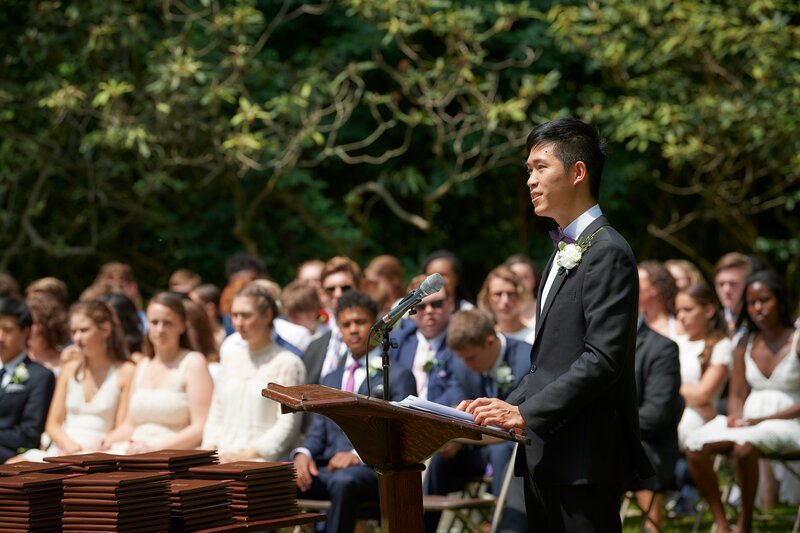 In this (abridged) reflection delivered at graduation, Yiheng explores the connection between voice and family history—the “grit and sand” in his words—and how every person and experience we carry with us, can leave its mark. Yiheng was awarded a Faculty Letter of Commendation, Westtown School’s highest recognition for achievement and citizenship, three years in a row. He currently attends Brown University. My freshman-year proctor once said, “You have a unique accent.” It couldn’t be easily defined—it wasn't simply Chinese or American, refined or crude. Puzzling over why, I decided to trace its origin.